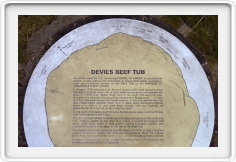 Click on a picture to open an album for each event. 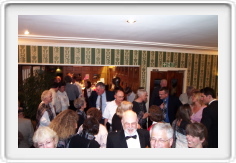 Thursday Night Reception for both the UK Group and the USA Group. Friday - Bus Tour of local areas of Moffat interest, and some sight seeing too. 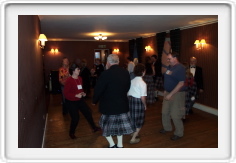 Friday Night - a Ceilidh with the group "Two Left Feet". 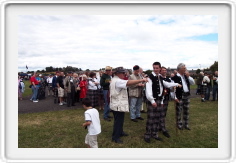 Sunday Morning - Parade in Moffat commemorating 50 years since the end of World War II. 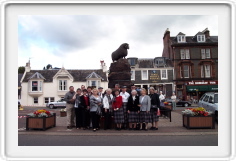 Sunday Afternoon - Moffat is the featured Clan at the Border Gathering in Dumfries.